Bathroom Remodeling | Kastler Construction Inc. Create a retreat from the outside world in your bathroom. At Kastler Construction, we have been helping clients reclaim their homes since 1996. When remodeling your home, don’t pass up the opportunity to give your bathroom a new look. Improving your quality of life can be as simple as installing a luxurious bathtub or a new tile floor. At Kastler Construction we work hard to turn your vision into a reality. We will redesign your new bathroom using high-quality fixtures and finishes to transform your current bathroom into the perfect spa-like retreat. 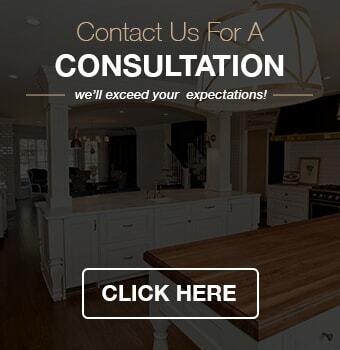 Our bathroom design experts will collaborate with you to determine your needs and design preferences. For example, do you need a flooring option that is going to complement your bathroom’s decor? At Kastler Construction, we are aware of the latest trends and traditional styles. Our inventory provides unlimited interior design opportunities. Once we have arrived at a bathroom design you love, we begin the bathroom remodeling process. Our bathroom designers and builders will work with you every step of the way, to ensure your new bathroom meets your expectations. Your bathroom may be the smallest room in your house, but it’s also one of the most important. Remodeling a bathroom in Oakland County can sometimes be a major inconvenience to the homeowner. At Kastler Construction, we’ll do everything we can to minimize the temporary disruption caused by a bathroom remodeling project. Our builders work efficiently so that you can enjoy your new bathroom as soon as possible. When you choose Kastler Construction for your bathroom remodeling needs, you will be working with a team dedicated to creating the bathroom of your dreams. Our experienced design and building team will transform your bathroom in a manner that is conscious of both your time and budget. You will enjoy peace of mind knowing there is no need to work with third party sub-contractors. Let us help you with your next bathroom remodeling project. If you are interested in redesigning your bathroom, feel free to contact us at our office at (248) 655-5580. At Kastler Construction, we are always happy to help clients turn their house into a home.